Like/Follow International Jazz Day on Facebook, Twitter and Instagram for updates on how people are celebrating around the world. Exchange with others about jazz’s impact, share posts and re-tweet material to your friends. Make sure to use #JazzDay in your message! 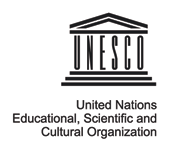 Organize an International Jazz Day event in your community. From concerts to classes, no event is too big or too small. Consult the examples below for more event inspiration. 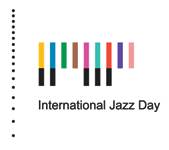 Register your event on JazzDay.com to become an official participant and share your event with people around the world. Use the materials in our online toolkit including promotional guides, downloadable logos and educator guides to make sure your event is the very best it can be. On April 30th, visit JazzDay.com to check out featured events in the Global Host City and around the world. Don’t miss the all-star International Jazz Day concert, which each year brings together legendary artists from around the world for the day’s grand finale. View the full list of events happening in 2019. In 2018, people in more than 190 countries organized thousands of events on April 30th. Here are just a few examples of events organized over the past six years. We hope these will inspire YOU to organize an International Jazz Day celebration in your community! 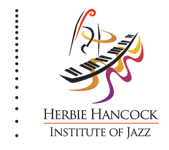 A teacher in Tuscaloosa, USA organized a workshop on how to use jazz to inspire leadership and innovation. The Armenian State Jazz Big Band in Yerevan, Armenia presented a concert program of jazz standards. The city council of Knox City, Australia sponsored a concert at the local community center featuring two traditional jazz bands. A concert presenter in Brussels, Belgium organized a jazz parade throughout the streets of the city’s downtown area. A venue in Bogotá, Colombia produced a day of public education programs including classes, concerts and jam sessions. In Yangon, Myanmar, organizers invited a jazz guitarist to give performances and educational workshops with local musicians. A group of friends in Comune di Casalmaggiore, Italy organized a concert and jam session at their local public library. A jazz trio in Kuwait City, Kuwait inaugurated a concert series at a local restaurant. A conservatory in Kathmandu, Nepal hosted local and travelling musicians for joint concerts, followed by an open jam session. The event was broadcast live on the radio. The University of Auckland in Auckland, New Zealand held a lecture exploring the city’s jazz heritage. A record producer in Tehran, Iran organized a series of concerts with local musicians at an historic cultural center. A “mobile jazz club” in Alcoy, Spain attempted to set the record for largest jazz jam session in Spanish history, bringing together more than 100 musicians in Alcoy’s historic Plaza de Dins. A lounge in Juba, South Sudan played jazz recordings all day for customers. A jazz club in Damascus, Syria screened the All-Star Global Concert for patrons. A planetarium in Ukraine hosted a jazz concert accompanied by a 3D video show.